I have been looking for a good project management tool for web designers/developers. I have tested Basecamp and actually have a full license for Active Collab. I still wasn’t happy with either of them. They give you a lot of customization and you can use them however you want but for some reason they just seem clunky and slow to me. So I have been on the search for a different project management tool and I think I have found one. Everything is very neatly laid out. 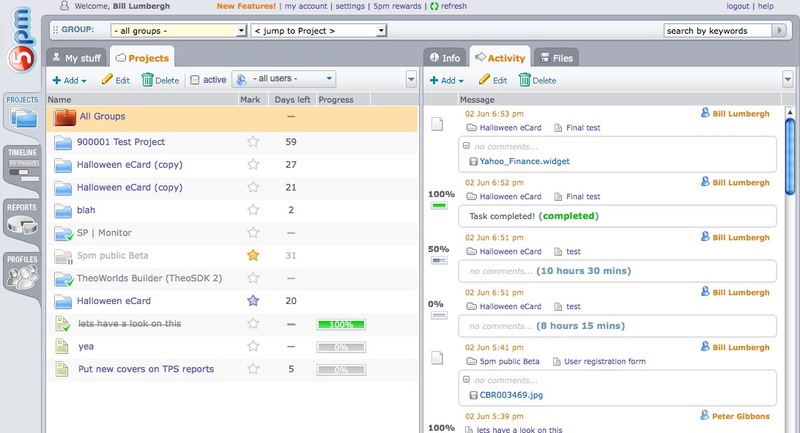 The left side is a list of your projects and tasks and the right side is the activity window. It is not cluttered with a lot of unnecessary stuff that you don’t use. For each task you can add a message, file or a progress note. Once thing that killed me about ActiveCollab is how slow it was. 5pm is very fast, it is all based on ajax and everything loads very quickly. Even though it is a simple, slick interface there are still tons of features. 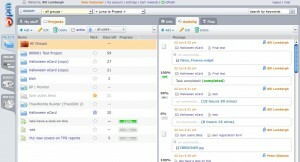 You can email tasks or projects right from your email client to it. You can also integrate the project information into your desktop calendar. It is a very simple project management tool and I suggest if you are in the market for one to give it a try. They have a free demo and if you decide to try it beyond the demo they give you a free 14 day account without the need of entering a credit card.